I struggle with the word "wellness." As a term it doesn't land on me with the same gravity as other words that capture the historical moment we are in. As a mantra, Assata Shakur's invocation of the words "duty," "freedom," "win," and "love" build connection, are invigorating, and do something undeniably molecular in their impact. 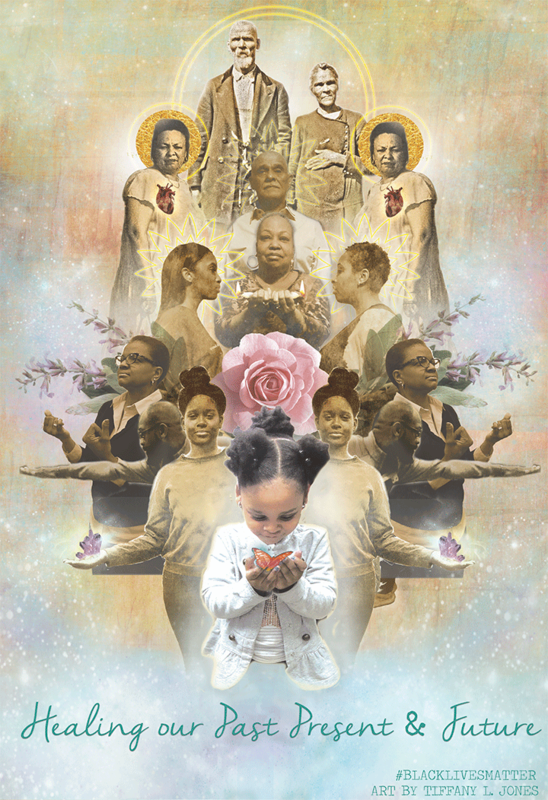 There is growing momentum to integrate healing into our movement practice and more healers are positioning ourselves within a movement to end anti-Black state violence. However, the term "wellness" still feels subtle, elusive at times, and yet to strike its Blackest stride. It is the tension between the term and the times that for me lifts up three qualities of Black wellness that inform why its central to a vision of Black future. Black wellness is the antithesis of state violence. Countless historical examples prove this but Flint Michigan's water crisis feels urgently appropriate as a starting place. Contrary to the neurotoxic water that has flowed into countless Black households throughout the city, the crisis is a clear example of the direct relationship between a malignant network of public services, the former Mayor of Flint, the Governor, and countless other state officials who cooperated in the poisoning of Black people; a people whose social, spiritual and neuro-networks have been historical targets of violence. Lead as a neurotoxin has been linked to undermining the development of children; approximately six thousand of whom in Flint are experiencing lead blood levels as much as three times as high as they were prior to the crisis. This toxicity has been linked to "impulsivity" and "criminality" which invites us to deepen our analysis of criminalization and complexify the compassion we have for folks who are being locked up and who, without intervention, will be incarcerated in Flint. It requires an understanding that violence can and has been produced in our communities on the level of physiology. The incarcerated diet is another site of violence. Research describes the gut as the second brain because of how instantly the food we digest is broken down and reassembled into neurotransmitters that affect our mood and mind. Within minutes, what we consume gives us more or less access to 1) serotonin which regulates our moods, facilitates desire, and a number of basic cognitive functions, 2) dopamine, which is responsible for our sense of pleasure, reward, and purpose, 3) gamma-aminobutryic acid, which is our body's natural, and highly effective, defense against stress and anxiety, and 4) oxytocin which is responsible for the profound sense of connection we feel to our loved ones and community. Our folks living in cells consume daily diets that are high in sugar while low in basic nutrients and therefore deplete these neurotransmitters. The impact of this diet on our neurobiology creates physiological grounds for depression, anxiety, aggression, and suicide. Wellness then takes on a different magnitude in the fight against anti-Black state violence. A Black specific wellness requires us to question the myth of violence and aggression as inherent to Black people, challenges us to think more deeply about the physiology of criminalization and ultimately requires an end to state violence all the way from the architecture of policing and mass incarceration down to the level of the neuron. I am however hopeful because Black wellness is by definition an affirmation. It is both a declaration of our thriving into the future and a historical movement built on strategies of resilience. The fact is that not even the unrelenting toll of being forced into labor as chattel, the ritualized trauma of plantation life, and the depleting scraps of the slave diet could deactivate the ceremony and community that was Congo square, the courage and sophistication of the underground railroad, and the spiritual affirmation that was a movement to abolish slavery in the United States. Lastly, Black wellness is fundamentally self-determining. It is the practice of harmonizing the agency and autonomy of our internal environment with that of our communities and the institutions that impact us daily. Black wellness is the physiological resource that made the historical examples of liberation above possible. Be it by food, ceremony, or institutionalizing our healing practices, Black wellness asks us not only to believe in self-determination politically, but to imbue that belief with the raw material--the serotonin, dopamine, GABA, oxytocin--that makes the self feel vibrantly worth determining. It should continue to inform our demands for systemic change, our call for reparations--as was won last year in the fight against police torture in Chicago--and our divestment from institutions that wage war on our communities as we build out the molecular vision of liberation we deserve. Illustration by Tiffany Lenoi Jones.